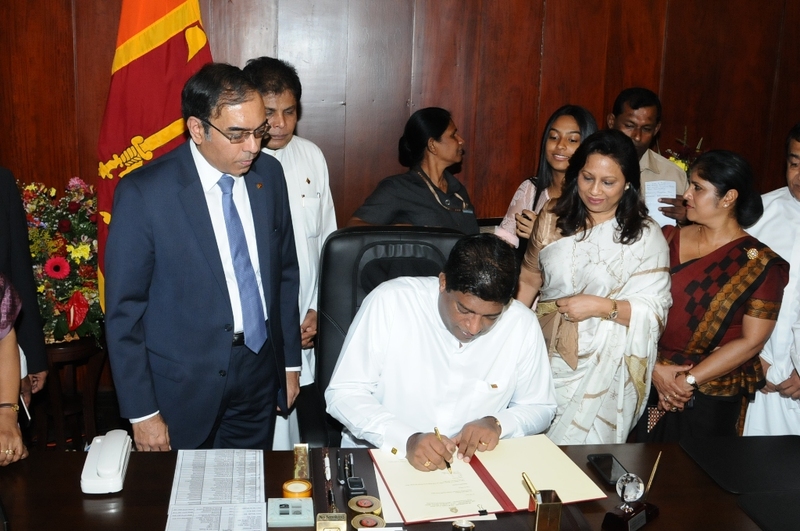 Having received his appointment from President Maithripala Sirisena on Monday 22 May 2017, as the Minister of Foreign Affairs, Ravi Karunanayake assumed duties ​at the Ministry of Foreign Affairs yesterday morning, Thursday, 25 May 2017. Foreign Minister Ravi Karunanayake was received at the Ministry, by ​the ​Secretary of the Ministry of Foreign Affairs Esala Weerakoon​, senior staff of the Ministry, Ministers including the former Minister of Foreign Affairs and present Minister of Finance & Media Mangala Samaraweera, Parliamentarians and well-wishers. ​Following religious observances involving Buddhist, Hindu, Islamic and Christian dignitaries, the Minister officially assumed duties at the Ministry. Speaking to Ministry staff after assuming duties, Foreign Minister Karunanayake noted that he would carry out his duties to meet the expectations of the President and the Prime Minister in the interests of the country, and expressed his commitment to uphold Sri Lanka’s Foreign Policy to be a friend of all with no enemies. The Minister stressed that he will enhance foreign policy, focus on spearheading economic diplomacy,​and stated that the country would need to move forward through interaction, foreign investments and innovative thinking. Minister Karunanayake drew examples from several countries that had lagged behind Sri Lanka at the time of independence and that are​today powerhouses, having achieved a level of excellence and progress far ahead of Sri Lanka. 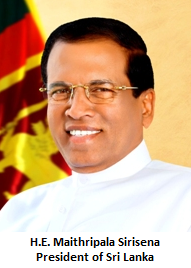 He emphasized the need to focus on commercial diplomacy, trade and investment in addition to traditional diplomatic and political engagement with countries, in order for the country to progress as a united country, where all communities would be protected​,​ ​​ensuring​ the socio-economic development of all citizens.